I'll be talking in London on the evening of April 19th about Africa, Burma and the Second World War. 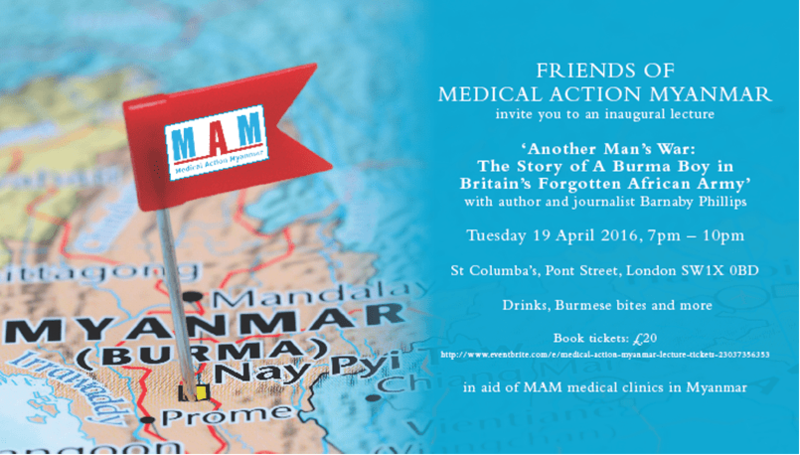 All welcome, and help raise money for a wonderful charity, Medical Action Myanmar. Posted in Events, News on April 5, 2016 by admin.